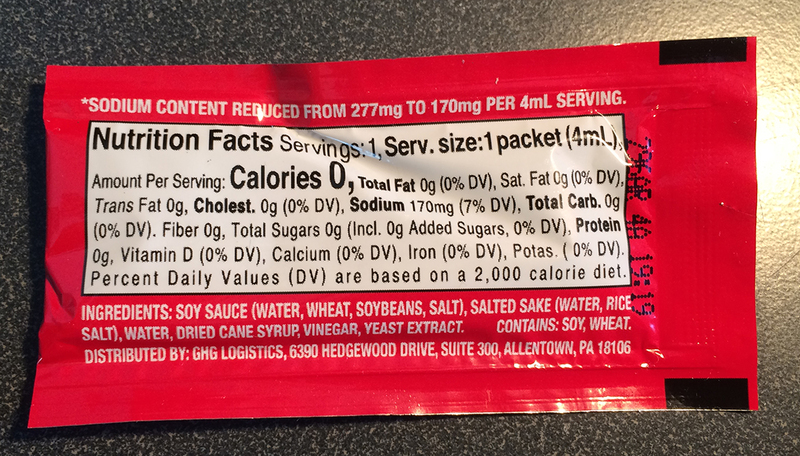 Why would SOY sauce contain more WHEAT than soy? Normally I would not post to ask the world to adjust to me and my food allergies, but here’s a case where it seems to me it wouldn’t cause anybody any trouble, or not much trouble, so I’m going to ask…. On the whole, this is a great time (if there ever is a great time for such a thing) to have food allergies. The world has become a far more understanding and accommodating place. When I was a kid, eating out was like walking through a minefield. And if I tried to enlist a server in my cause, all I would get is a blank look. I came to believe that most people on the planet had never heard of food allergies, and when I tried to tell them, it was just the most outlandish thing they’d ever heard of. … you freaking moron, I didn’t add, athough I wanted to. But often, I just let it go, not wanting to converse about it any more than necessary. In fact, whenever possible, I’d avoid the conversation altogether. I didn’t eat out any more than I absolutely had to, and when I did I went to places I had been before and ordered things I knew were safe. Now, at the slightest mention of an allergy problem, most waiters and waitresses become so attentive it’s slightly embarrassing. Some of them go fetch the chef and bring him out to interview me at some length. As I say, embarrassing. But it’s gratifying to have them on board in the cause of not poisoning me. Sure, there are some idiots out there who are dismissive of these things — watch, some of them will comment on this post — and regard allergies as a character flaw. But their ilk is rapidly become extinct as our species evolves. This is also a good era for avoiding hazards with prepared, packaged foods. When I was kid, if I wanted a milk substitute for cooking or just to put on cold cereal, I had to use soy-based baby formula — something I had to make sure the other guys never knew, because they would have given me the business, as the Beav and Wally would say. Now, there’s soy milk and almond milk and coconut milk and cashew milk and several other kinds, and it’s available everywhere, not just in specialty food shops. You buy it and take it home, and nobody looks at you funny. Better than that… and here I’m finally getting to my point… makers of prepackaged food have started calling attention to allergens in their ingredients! You don’t have to read all the ingredients any more — just look at the boldfaced listing of allergens at the end! This saves a lot of time. There are a lot of food products out there that are sometimes made with allergens and sometimes not. And I suppose sometimes the allergens make a difference. Other times, I doubt that they do. Take soy sauce, for instance. What would you think would be the dominant ingredient in soy sauce, aside from water? Soybeans, right? To my knowledge — and if you know different, say so — there is no appreciable difference between soy sauce made largely with wheat and soy sauce that’s all soy. So, here’s my question: Why not just leave the wheat out of all the soy sauce? Why go to the trouble and expense of purchasing and adding that extra ingredient, then having to put warnings on your labels about it? It would never have occurred to me years ago to ask this, because I assumed that to most people, food allergies were such a mystery that it would be asking too much for a food product manufacturer to know something was an allergen and leave it out. But now I can see, on every prepackaged food, that manufacturers know which ingredients are allergens — they point them out on every label. So… why not just leave them out? Granted, few of us out here are allergic to this or that ingredient, but why not just make a product that everybody can safely eat? 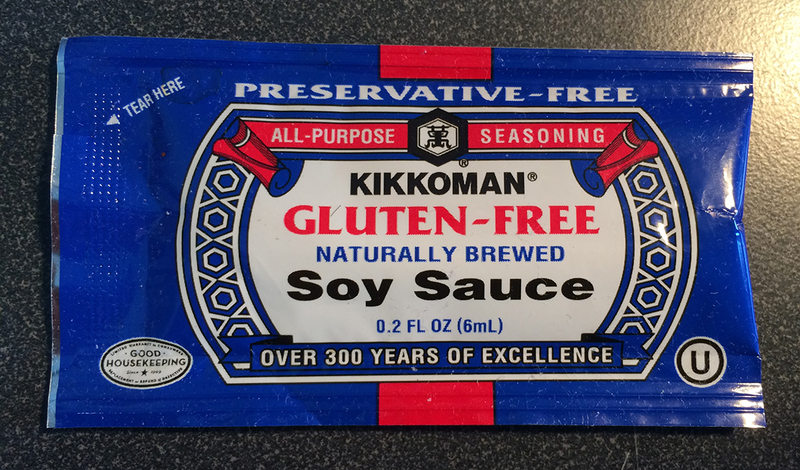 This won’t work with everything — for instance, soy itself is an allergen. (In fact, I’m slightly allergic to it myself, but so slightly compared to my real allergies, I ignore it and just try to consume soy in moderation.) I’m not asking that anyone leave the soy out of soy sauce. But it seems eminently reasonable to me to ask, why not just leave out the wheat, always? This entry was posted in Food, In Our Time, Personal on March 26, 2018 by Brad Warthen. She surveys her handiwork with satisfaction just before allowing her guests to plunge in. What does Cindi Scoppe do when she’s not producing the best print commentary — nay, the best political journalism — in South Carolina? Not just a cake here or there. She bakes a lot of cakes. And not your yellow cake out of the Duncan Hines box. She bakes, from scratch, such things as “Cookie Dough Brownie Cake” and “Caramel Almond Torte” and “Orange Cheesecake” and “Apple Sharlotka” and “Pistachio Baklava Cake” and on and on. And she does it all at once. Several score of her closest friends were reminded of this over the weekend at her 8th annual Advent cake party. 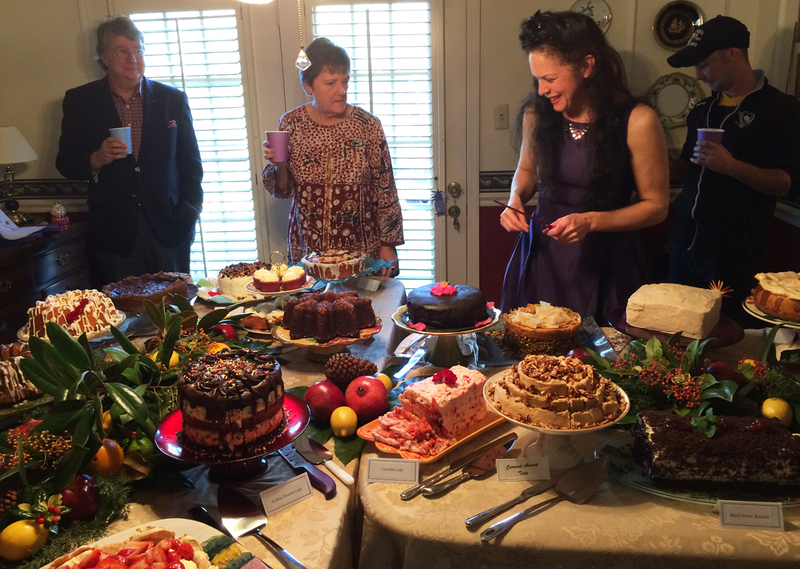 She served 25 cakes in all. She took off all of last week to complete the task, even though that meant doing the whole week’s editorial pages ahead of time. What of that? Those cakes weren’t going to bake themselves. Cindi… needs this outlet. What’s more, she deserves it. She works long hours at the paper doing the work of eight people. Then she takes home mind-numbing documents such as legislative bills and academic studies and reads every word of them on nights and weekends. 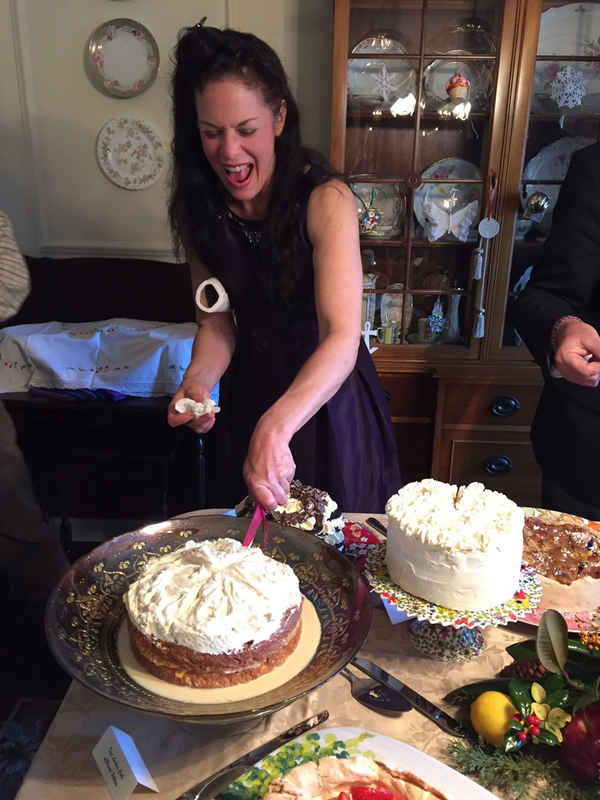 Someone out there who knows this about her may object, “But she’s diabetic.” True, and I think that may have something to do with the… intensity… of her cake fixation. But there was never a diabetic who more assiduously kept track of her condition or addressed it more readily. More than once, I’ve seen her hike up her skirt and give herself a shot of insulin in the thigh because there was a slice of cake before her that needed eating. (Once, she did this in the governor’s office over lunch. I thought Mark Sanford was going to fall out of his chair.) Cindi’s just a very matter-of-fact person who deals with things, eats her cake and moves on. She sent me all the recipes. I count, let’s see, 99 eggs, plus the yolks of two others. One recipe, chocolate mousse cake plus chocolate buttercream frosting, called for eight eggs. Needless to say, I wasn’t eating any of this, or even coming into contact with it. Nothing is more deadly to me than dairy products and eggs. But I took a plateful home, since my wife couldn’t make it to the party. She appreciated it. Bud Ferillo (seen at the far left in the photo at top) took this somewhat blurry shot. See how dangerously close I was to the cakes? Not to mention that very sharp pink knife she’s wielding. This entry was posted in Community, Food, Holidays, Personal, The State on December 9, 2015 by Brad Warthen. The Engine 2 guy, doing his version of the “I want to pump YOU up” routine. OK, so that’s not strictly true, since the Engine 2 diet was started by a fireman, who going by his pictures may be considered by some to be even more of a macho guy than I am (he’s also named “Rip”), even though he has been photographed wearing this. But let’s just say he’s definitely a guy, and he invented Engine 2, and is therefore a traitor to his gender, and just leave it at that. Let’s set it aside, because I don’t want any actual facts interfering with my over-broad generalizations. So, back to my point: Men are from paleo, women are from Engine 2. At least, it works that way in my house. The guiding principle is simple: Fruits, vegetables, whole grains, beans, nuts and seeds give your body the fuel it needs to function at its best. When you fill your belly with these whole, minimally processed plant-based foods, you take charge of your health and become plant-strong®. This was all very well and good for 28 days — as long as it’s someone other than me doing it — but subsequently, my wife has continued to live this way. And she likes it. Meanwhile, I have decided, since my pants are all too tight, to go back to my strict paleolithic diet — which means meat, as much as you can hunt down and kill (or purchase at the grocery, and then cook yourself since you’re the one who eats it). It also means you don’t eat any grains, or any peas or beans — which are where the plant-strong® crowd get most of their protein. I felt great and went out and bought some skinnier pants last year when I was doing paleo pretty strictly and working out every day, and I want to get back to where I can wear some of those pants. Not to mention the new blue blazer that I had taken in at the time. So basically, my wife and I a complementary pair, like Jack Spratt and wife, although we do overlap on some cruciferous vegetables and sweet potatoes. …There’s one food, though, that has almost nothing going for it. It occupies precious crop acreage, requires fossil fuels to be shipped, refrigerated, around the world, and adds nothing but crunch to the plate. Salad vegetables are pitifully low in nutrition. The biggest thing wrong with salads is lettuce, and the biggest thing wrong with lettuce is that it’s a leafy-green waste of resources…. It’s not just lettuce. Cucumbers, radishes, lettuce and celery are essentially just water, too. They are things that go crunch and fool people into thinking they are eating and not drinking. Lettuce is a vehicle to transport refrigerated water from farm to table…. When a Prince talks farming, you listen. This is nothing new for the GRACE food program folks, but as the “water guy,” that’s all I could think about shortly after reading Chris Hunt’s roundup (or “knowledge dump“) of the speakers and themes from May’s Future of Food conference. The “Prince” in question is sadly not his Purple Majesty but rather, Charles, the Prince of Wales, who issued a stern warning –and in the process stirred up a long simmering debate among Americans – that resonated with me because of its virtual water conservation message: Beef production and consumption are water intensive and a drain on our world water supplies. But obviously, based on some of the choices he’s made in the past, the prince is not an infallible source. That’s all I’ll say about that for now. 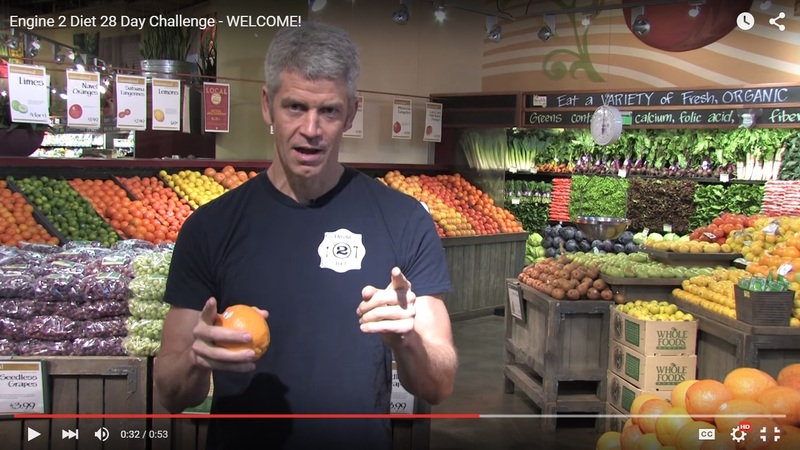 This entry was posted in Food, Health on August 24, 2015 by Brad Warthen. Burl Burlingame posted today on Facebook a better shot of a sunset from Schooners, the restaurant right on Pearl Harbor where he took us to dinner after giving us the tour of Ford Island. In this shot, Ford Island (where Burl “works”) is between us and the sun going down behind the Waianae mountains. Off to the left is the causeway out to the island. To the right is McGrew Point Navy officer housing, where my family lived briefly just before I left for college. He said he was there celebrating National Beer Day. Probably with a Newcastle, I’m guessing. My second greatest regret from our time on the island (the greatest being that we couldn’t stay longer) is that I didn’t get a Primo. I had never had Primo. During my very brief time as a legal drinker in the islands (that week or so I was there over Christmas vacation, 1971), I never had a Primo. It was considered cooler to drink Olympia, so I did. Nor did I ever eat poi, strangely enough. I rectified that, at least. 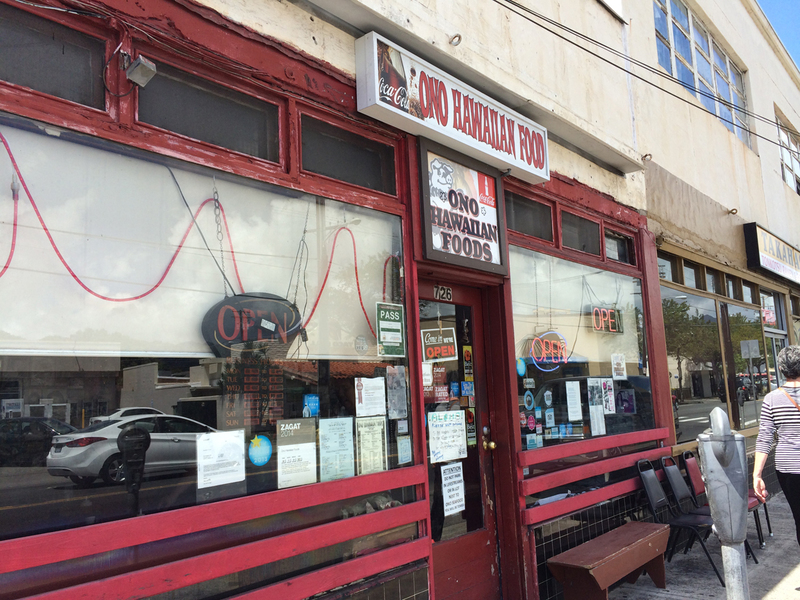 The last thing we did before heading to the airport to leave was to have lunch at Ono Hawaiian Foods, a wonderfully downhome, unpretentious, authentic eatery. 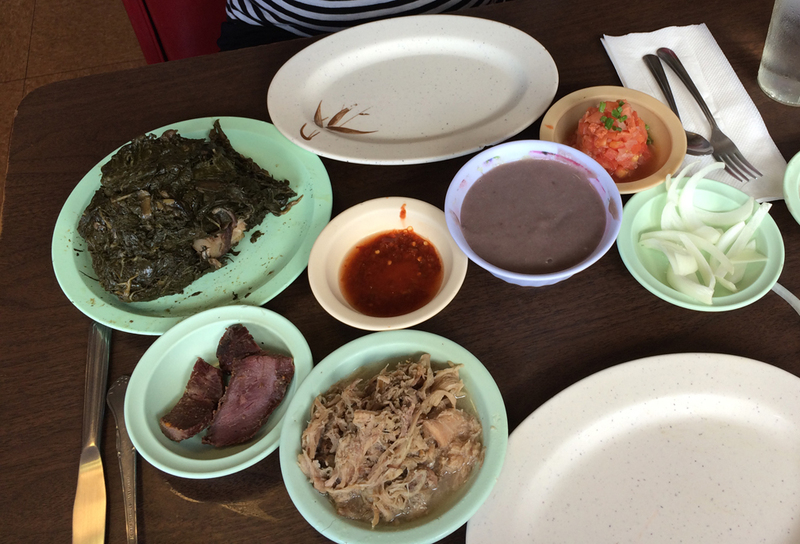 We had da kine pig and poi, and it was great. Pictures of the food and the place are below. This entry was posted in Beer in the News, Food, Social media, Travel on April 8, 2015 by Brad Warthen. 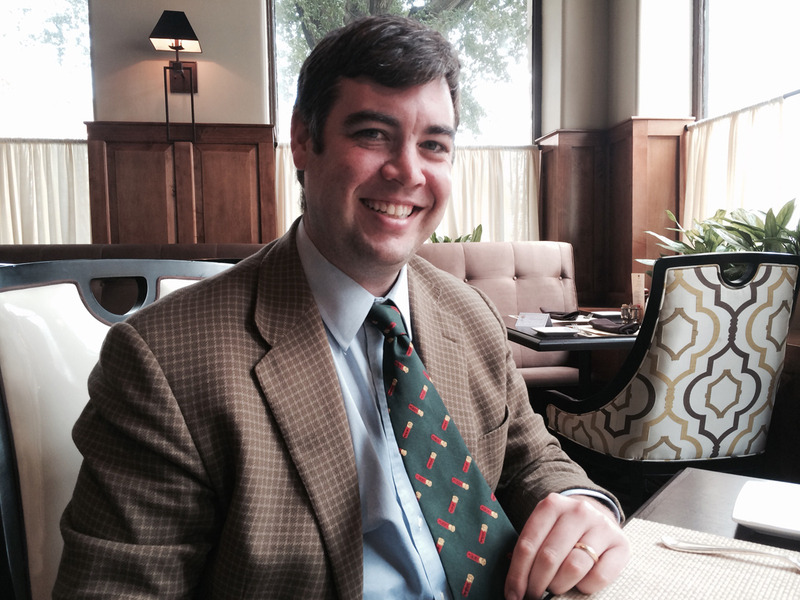 I had lunch today with Bryan Caskey at his club. We’d had drinks at my club recently, so it was his turn. We talked about the kinds of things gentlemen talk about at real gentlemen’s clubs (as opposed to the trashy kind) — politics, whether one can actually travel ’round the world in 80 days, shooting for sport, etc. 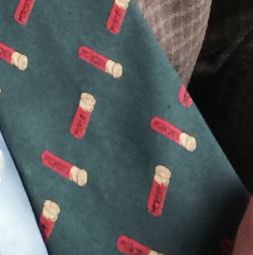 Then in the middle of the shooting part, I noticed his shotgun-shell tie. So I thought it only right to share it here. This entry was posted in Blogosphere, Community, Fashion, Food, Guy stuff, Midlands, South Carolina, Sports, Uncategorized on June 24, 2014 by Brad Warthen. My daughter — the one in Thailand, in the Peace Corps — posted today on her blog to let us know how well-fed she is, in keeping with the military junta’s happiness campaign. She posted quite a cornucopia of enticing dishes. But they also came across, to this benighted Westerner’s eyes, as evidence of just how exotic her surroundings are. That plate of mangosteen and rambutan look like Star Trek props. In accordance with my host country’s happiness campaign (http://www.theguardian.com/world/2014/jun/04/thailand-to-bring-happiness-to-the-people), I would like to share something that makes me SO happy every day in this country: FOOD. I took pictures of my breakfast, lunch, and dinner the other day with the intention of making everyone back home super jealous of me. Mangosteen and Rambutan. I’m not a huge rice for breakfast person, which is fine because wherever I go in the morning I will inevitably be presented with a large plate of fruit. On this day, I was accompanying the health clinic to the schools to teach about oral hygiene, when I was presented with two of my favorite fruits. Mangosteen, the purple one, is the Queen of Fruits and Thai people say that it makes you cool when you eat it (temperature wise- I don’t want to get all you nerds’ hopes up). Rambutan is also quite delicious and juicy once you peel those crazy green spikes off. Thai people have really got this whole hospitality thing down. Dtom Yom Gung- A classic, sour shrimp stew made with chili peppers, lemongrass, cilantro, limes mushrooms, etc. Idk I learned to make this the other day but I didn’t take notes. Whoops. Gang Jut- Pork stuffed inside of large celery-like chutes, boiled with cabbage. Dtom Gai Baan- Boiled chicken, vegetables, and spices. As you can see, I eat pretty well. I apologize for not cooking, therefore having no idea of the actual ingredients, but you get the “picture”. Maybe in the future I will try harder. I did not even include the many snacks I ate that day, including, but not limited to- grilled chicken skewers drenched in a creamy peanut paste, some kind of hot peanut drink, thai doughnuts that we dipped in a condensed milk and some sort of green fluffy stuff, boiled lotus seeds, and a sweetened coconut milk desert with tapioca balls and gelatin noodles. We joke that I will return to America fat. That’s fine. Anyway, hope you enjoyed the pictures, and now you have evidence that I am not starving. I will post a coup update soon! I think my favorite would be the Dtom Yom Gung. Being a Southern boy, I’d eat it over rice, like gumbo…. This entry was posted in Blogosphere, Food, Personal, The World, Travel on June 21, 2014 by Brad Warthen. Which means nothing, of course — I mean, the fact that they died on the same day means nothing; obviously their respective deaths mean a great deal to their families — but it struck me as an odd juxtaposition. Maurice Bessinger, purveyor of yellow barbecue and “South Will Rise Again” tracts was 83. 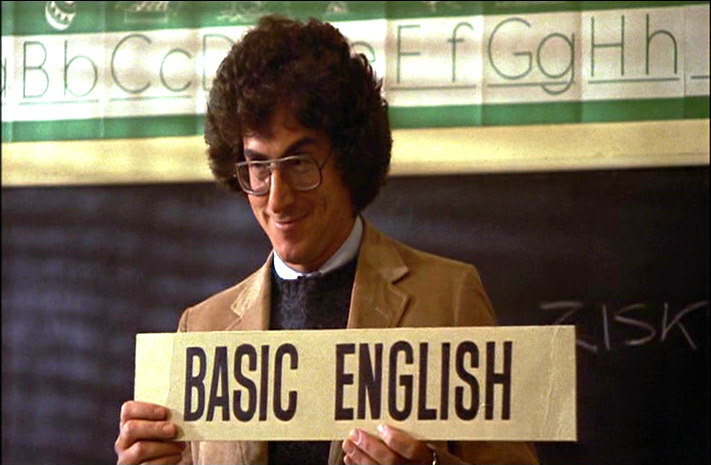 The man who gave us Egon “Print is Dead” Spengler and Army recruit Russell Ziskey (and as a writer and director, such gems as “Groundhog Day” and “Analyze This”) was only 69. And yes, my very first thought on the latter’s passing was that maybe collecting spores, molds and fungus was not the healthiest hobby. I mean that fondly, and intend no disrespect. In Maurice’s behalf, I’ll note that his barbecue was my youngest daughter’s favorite. As the baby of the family, she had trouble understanding why the rest of us preferred not to give him our custom while that flag was flying at his restaurants. But now my daughter is off in Thailand with the Peace Corps, so I don’t think her BBQ preference limited her horizons or worldview any. As for why the juxtaposition is notable, well… Maurice was a man who went out of his way to stand up for outmoded ideas, a man who insisted on pushing a discredited worldview even when it drove customers away. Ramis, on the other hand, was a harbinger of a new ironic meme in our popular culture, the smirking wise guy who poked gentle, mocking fun at our social foibles. One insisted on respect for ideas that had never deserved it; the other urged us not to take ourselves so seriously. This entry was posted in Character, Confederate flag, Food, Movies, Obits, Popular culture, South Carolina, Southern Discomfort on February 24, 2014 by Brad Warthen. From you or on the very street where you live. Thousands of hungry people live right here among us. You pass by them every day. They are grandmothers and grandfathers, children and families. They are hardworking men and women. Harvest Hope Food Bank has a 33 year history of lifting struggling families and individuals out of their hunger and helping restore balance to their lives. When they face their empty tables and ask us for help, we make sure to give them 90 to 100 pounds of food. We have found that with that help they only come to us three times, and then they are lifted out of hunger and they do not need to come for help again. We strive to provide hunger relief across 20 counties through our own Emergency Food Pantries and through partnerships with more than 400 agencies. They carry our mission from our own neighborhoods to the remotest corners of South Carolina where hunger and poverty exist for thousands. Our efforts bring hunger relief to more than 42,000 people every week. Our food is often enough to take their worries away, to give them enough resources to overcome their circumstances. To reach them all we have to have resources to send our trucks to get food from community partners, and then take and give food to the areas where food is needed the most. To many the holidays seem two months away but for Harvest Hope holiday need preparation is right now. Please help us prepare with a gift today. Your gift will help us gather loads of food from across the country. That food is often donated and FREE, but the transportation is not. In addition, we need sponsors of backpacks for children. A $30 gift will provide 29 meals on the weekends. We have children waiting and wanting – can you help? Another great gift is your gift of time. Volunteers are needed both for groups and for counselors in our own Emergency Food Pantries. We have many ways to be involved and we need YOU – the gifts you bring, the love you share, the smiles you give. Click HERE to learn more about volunteering. Your gifts – right now – give us the resources to keep us going to help lift others out of their time of crisis and hunger. Harvest Hope dedicates 98¢ out of every dollar donated to our mission of feeding struggling families, children, seniors and our very neighbors. Giving is easy. Visit us at www.harvesthope.org to help us help our neighbors. This entry was posted in Community, Food, Poverty on September 12, 2013 by Brad Warthen. Remember that good-news story that I included in a recent Virtual Front Page, about how fewer poor kids are obese than previously? The CDC study released in early August drew a lot of attention because it found childhood obesity rates were decreasing in 19 states and rising in only three. The study didn’t include data from 10 states. South Carolina was omitted because a CDC request for data in 2011 went to an inactive email account at the S.C. Department of Health and Environmental Control, according to agency spokesman Mark Plowden. Because South Carolina didn’t send in timely data that year, it wasn’t included in the study of four-year trends. This, to me, is another argument for restricting the kinds of foods that can be obtained with “food stamps” — with caveats for availability, considering “food deserts,” etc. I see the problems with such a move. But I also think we should work to overcome the problems, because kids are killing themselves with food that we’re buying for them. Whatever we’re doing now to ensure proper nutrition for the poor obviously isn’t accomplishing everything that it should.. This entry was posted in Food, Health, South Carolina, The Nation on August 22, 2013 by Brad Warthen. After hearing all the pros and cons during several months of public input, the state health department has recommended that South Carolina apply for a waiver to ban the use of food stamps for sugary drinks, candy, cookies and cakes. I have great respect for Sue Berkowitz and other advocates for the poor who have concerns about this. And the “food deserts” concern is a real problem. But I just can’t see the taxpayers subsidizing purchases that are killing people instead of nourishing them. As Ms. Templeton says, we’re able to make WIC work with restrictions; why not this? This entry was posted in Food, Marketplace of ideas, Poverty, South Carolina on June 18, 2013 by Brad Warthen. But I seemed to recall that sci-fi had imagined this device much earlier than that. Indeed, in the 1956 classic “Forbidden Planet,” starring Walter Pidgeon, Anne Francis, and Leslie Nielsen, there is a robot that has a sort of miniature 3D food printer built into its torso. I couldn’t find a clip showing that from the actual film, but I did find this promotional short in which the robot explains how it is able to replicate food of any kind, in any amount. All that is needed is a small sample of the food — which I suppose makes it more of a 3D food copier than printer. But whatever. I thought I’d share it. Also, I refer you to a story Burl brought to our attention, about how a 3D printer saved a baby’s life. 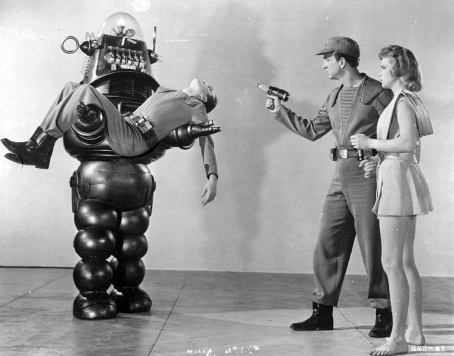 Robbie the Robot, a pre-comedy Leslie Nielsen, and pre-“Honey West” Anne Francis (who showed her gams a LOT in this one). This entry was posted in Food, Movies, Popular culture, Space, Technology on May 24, 2013 by Brad Warthen. Seriously? Can you just “SNAP” and in an instant, delete certain foods from some South Carolinians’ grocery lists? Sure, obesity is a genuine, significant health concern for too many people in this state. But that’s not why you’ve made a recent “SNAP” decision. You know it. We know it. And soon, citizens across this state will know it too. Contrary to South Carolina’s definition, “SNAP” doesn’t mean “Simply Nonchalant About the Poor.” It’s actually a federal program, fully funded by the USDA. Now, isn’t it ironic that our state’s most notorious critics of “BIG” government, are arrogantly hypocritical enough to assume the despicable role of “BIG Brother” when it’s politically expedient? As asinine as this latest stunt is, it’s even more offensive. Targeting a segment of the population in furtherance of your own political agenda is one thing. Refusing to allow federally-funded healthcare for hard-working South Carolinians while in the same breath, expressing concern about obesity and its impact on their health and well-being, is another. You don’t want the federal government telling us whether to accept or how to spend our federal tax dollars when a state match or financial investment is required. But yet, you wanna dictate which foods we can buy with SNAP, a fully-funded federal program that doesn’t even require state funds? The list of qualifying items that can be purchased with SNAP is very straight-forward. As with any program, there’s always room for improvement. But last time we checked, you were able to make nutritional decisions for your family without our intrusion or input. We’re just wondering why you think we need yours. And since your cronies are traveling the state at our expense, trying to convince us that this is about obesity prevention, perhaps we’ll remember your “heartfelt” concern on our next nonemergency trip to the ER…if we can even find and get to a hospital that’s still open and accessible. With all due respect, Governor, when it comes to obesity, it’s not the foods that we’re able to buy on SNAP that are making us fat. Perhaps it’s your empty rhetoric that’s making us sick. If you really cared about this state’s obesity rates or us, you’d do what is well within your purview and power to ensure that we have access to quality, affordable health care, just like you do. You’d realize that some of us would love to eat the same fresh and organic foods that your family enjoys, but because of “food deserts” across this state, many of us are without the means or access. If you’re genuinely concerned about addressing obesity, you could start by addressing that. If only we could “SNAP” back from the regressive, debilitating tactics of centuries past, we’d all feel much better. So while South Carolina continues to reek of ignorance, intolerance and insanity, many of our best and brightest continue to leave this state in search of parity, inclusion and meaningful opportunities. But unlike obesity and other chronic conditions, many never return. Neighboring states too often become the benefactors of our most creative minds and talented contributors. And we’re left with a weaker South Carolina. So as you continue to cater to your political base by serving folks like us up on a party platter, the only thing that seems to be getting fatter is your reelection campaign account. At some point, obesity may no longer be an issue for South Carolina. Under your “leadership,” our state is gradually becoming so malnourished on so many levels, it may not be strong enough to “SNAP” out of it. But you still can, Governor, before it’s too late. She really doesn’t like the idea, does she? Yes, there are reasons to be concerned about people who live in “food deserts.” I don’t dismiss that, and I can’t say for certain that the stores that now sell junk food in those communities would shift and sell healthier stuff if that’s all their poor patrons could buy. I think that might happen, but I don’t have the full faith in markets that some do. So that should be thoroughly studied and taken into account before a final decision is made. But I most certainly do not agree with those who have a philosophical, rather than practical, objection to insisting that tax money not be used to buy foods that ruin the health of the poor. The populists will call this patriarchal, but we are indeed in a position for taking responsibility for people when we undertake to feed them. We are culpable for providing people with the means of poisoning themselves when we could adopt a policy that prevents it. When we discussed this previously, my old friend and respected colleague Burl Burlingame noted, “when the government wants to experiment, they do so first on the poor.” That may seem a particularly devastating argument against this change. But I submit that we have been running the experiment for half a century now, and the results are in: Paying for junk food kills poor people. It’s time we stop it, and do what we practically can to have a positive, rather than an actively negative, effect on people’s health. This entry was posted in Democrats, Food, Health, Legislature, Marketplace of ideas, Nikki Haley, Poverty, South Carolina on April 12, 2013 by Brad Warthen. CHARLESTON, SC — Remember those pigs former Gov. Mark Sanford brought into the State House nine years ago to protest “pork barrel spending” in the state budget? So… The piglets were supposed to symbolize government waste. Do they no longer qualify as “waste” if you make a meal out of them? Presumably, he changed clothes — since the pigs had daubed him with literal waste — before firing up the grill. Twice now, Mark Sanford has huffed and puffed and blown the house down, eating the thoughtless little pigs within. It remains to be seen whether Elizabeth Colbert Busch can build a house out of bricks before he does it a third time. “The governor made a joke that apparently was lost on members of the media, who seem unable or unwilling to write about issues that voters actually care about,” Joel Sawyer said. Yeah, right, Joel. It’s the media who have a penchant for silly, distracting stunts. He says this on behalf of a man who, in the name of fiscal responsibility, hauled two squealing, defecating piglets into the lobby to ruin a new carpet (OK, sort of new — see below) that was part of a multi-million-dollar restoration of the State House. This entry was posted in Food, Mark Sanford, South Carolina, Video on April 3, 2013 by Brad Warthen. This entry was posted in Community, Food on March 26, 2013 by Brad Warthen. Our foundation works with a 17-year-old girl who weighs 495 pounds. At home she’s fed a diet of convenience store food, bought at convenience store prices, largely at taxpayer expense. Rare is a salad or lean meat. Processed, packaged food is all she knows. And it’s slowly killing her. But she won’t leave this earth without costing us all a small fortune. She’ll need knee replacement surgery before she leaves her 20s, and in her 30s her hips will fail her too. Taxpayers can probably expect to pay for a long stay in a nursing home for her, because of the toll diabetes will take on her vision and limbs. So here’s something Washington should think very seriously about: strictly limiting what foods can be purchased with the money we provide SNAP recipients. We already impose limitations: Beneficiaries can’t use their payments to buy alcohol or cigarettes. Why not take it one step further and bar the purchase of foods that are making us fat and sick, at least with the money coming out of taxpayers’ pockets? Where would we draw the line? If it comes from the meat, seafood, produce or dairy sections, it’s probably good to go. Or maybe we could use an even more general standard: If my 100-year-old grandmother would recognize it as food, it is. 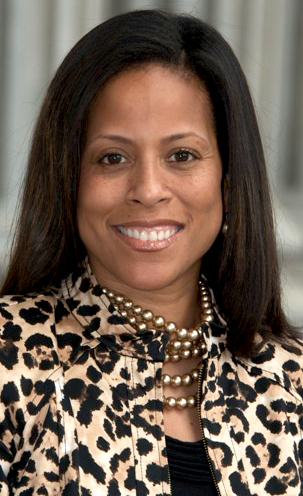 COLUMBIA, SC — Seeking to slow the childhood obesity epidemic, South Carolina health leaders would like to limit the purchase of sugar-filled drinks with food stamps. Catherine Templeton, director of the Department of Health and Environmental Control, and Lillian Koller, director of the Department of Social Services, have exchanged thoughts on the subject. They agree that cutting the intake of sugary drinks could improve the health of the state’s children, but they are struggling with how to use the food stamp program as a tool in that effort, and especially with whether the federal government will allow it. I’d like to see SC be used as that test case, as Joey Holleman’s story goes on to suggest. Wouldn’t it be wonderful for our state to be in the vanguard of improving health for once? This seems to me like something that left and right ought to be able to get behind. I can imagine arguments against it, but I can’t imagine any good ones. This entry was posted in Food, Health, Marketplace of ideas, South Carolina, The Nation on February 1, 2013 by Brad Warthen. Harvest Hope wishes you and your family a Happy Thanksgiving at this time when we acknowledge all our blessings, and our most generous of thanks for all your support in our mission to provide for hungry families across 20 SC counties. 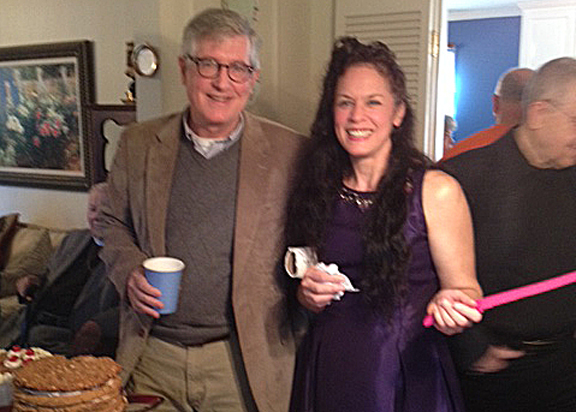 Families and friends gather at this time to celebrate and offer thanks for all the blessings the year has provided. Yet, 1 in 6 families in SC does not know where their next meal will come from. Thanksgiving only serves as a painful reminder of their struggles to put food on their tables. Over the last four years Harvest Hope has seen a steady decline in not only the number of donors who are the cornerstone of our mission, but the monetary level of their donations as well. Our donations for 2012 to date are down more than 21% over the same period of time in 2010. Yet in the face of decreasing donations we struggle to make sure no one is turned away hungry. Your generosity helps Harvest Hope make sure families in our community do not have to experience the pain of hunger while so many others celebrate the simplest of joys. Your kindness is how we continue our mission of HOPE. Giving to Harvest Hope is easy at click here. The lines were long yesterday at our own Emergency Food Pantries on Shop Road and in Cayce, and they even longer this morning. Many requests are coming into our Florence and Greenville Branches for help with families in those communities struggling to put the most basic of food items on their tables. Help is needed and your support can provide great nourishment and great Thanksgiving by going online today or dropping off nonperishable food at any of our four locations. kindness with your neighbors struggling with hunger. This entry was posted in Community, Food, Holidays, Midlands, South Carolina on November 21, 2012 by Brad Warthen. Tony Stark: You ever try shawarma? SPOILER ALERT! OK, not really, because it reveals nothing about the plot, although it will ruin a tiny little fun surprise. It’s just one of those little lagniappe things at the end of the credits. Although, come to think of it, this does tell you that all the heroes survive the movie, so SPOILER ALERT! Then, the fun part: After all the credits — apparently, Joss Whedon needed the help of about 3.7 million people to make this flick — you see the exhausted heroes lounging, disheveled, around a table in the shawarma joint, slowly munching away in complete silence. This continues for more than 30 seconds, as a restaurant employee sweeps up in the background. 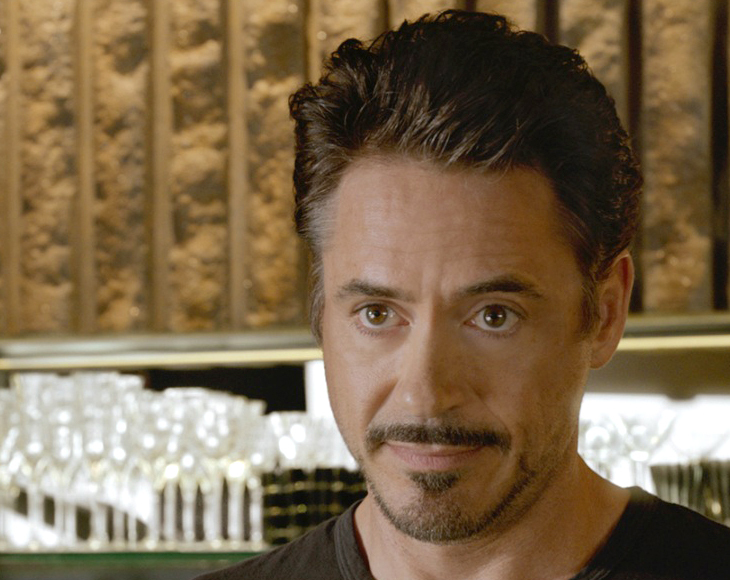 Those of you still reading will likely recall Tony Stark’s fascination with shawarma toward the end of the film. 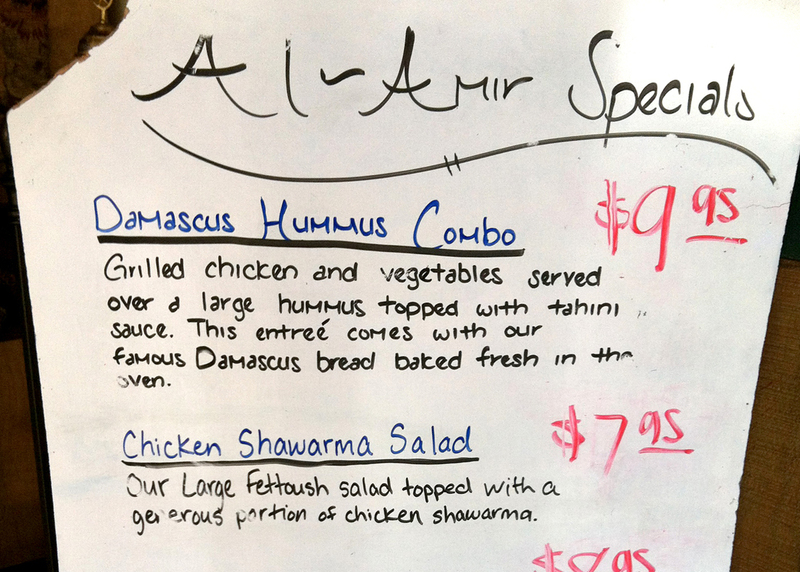 During the climactic battle, Stark suggests the team adjourn to a nearby restaurant to try the dish, which Wikipedia describes as “a pita bread sandwich or wrap” filled with spit-roasted meat (commonly lamb, goat, chicken or a mixture of various meats). At the very, very end of the film, after the credits have rolled, we witness the superhero team sitting at a table, silently eating their shawarma for a surprisingly long amount of time. This entry was posted in Business, Community, Food, Midlands, Movies, Popular culture, Total trivia on July 24, 2012 by Brad Warthen. The heat, exacerbated by the humidity. The fact that statistics show that more than 99 percent of yard work occurs there. Meat lovers, beware. One bite from the tiny lone star tick may be enough to cause meat allergies and turn you into a vegetarian. 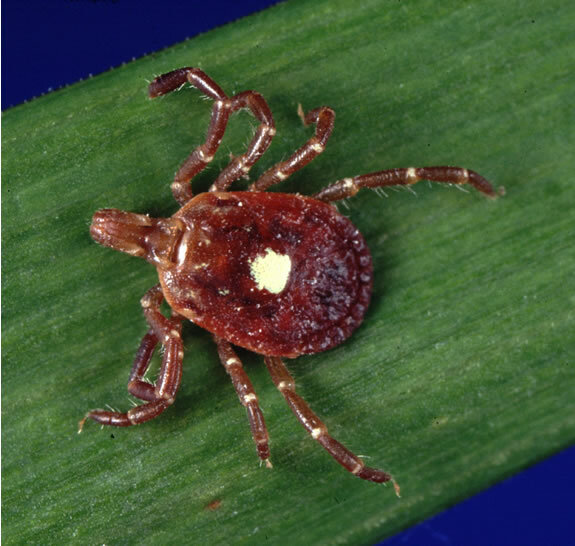 Dr. Scott Commins of the University of Virginia has been seeing meat allergies popping up along the East Coast and thinks the tiny tick may be to blame. Of the nearly 400 cases he’s seen, nearly 90 percent report a history of tick bites. Commins says saliva from the tick that makes its way into the wound can cause some people to break out into hives or even anaphylactic shock three to six hours after chowing down on some animal carcass. So make sure either your sleeves are rolled up or you’re adequately covered in bug repellent before hitting that summer barbecue. Add to that the fact that I’m one of these people who thinks that the only real food is meat; other foods are meant to complement meat. I heard an overweight standup comic say it well a number of years ago. It went something like: Salad isn’t food. Salad is something you eat with food. This entry was posted in Food, Health, Personal, Uncategorized on June 26, 2012 by Brad Warthen. And if you can’t give blood, maybe you can give to help the needy be fed. Two weeks ago, one night about 9:30 pm, returning from Walmart, I walked back into my house sobbing because my heart was completely filled with many emotions. My husband looked at me confused, asking what is wrong as a trip to Walmart normally does not do this. I sat down and told him the following very true, very moving story…I hope you will feel moved and called to action. Upon finishing my shopping, I got in a long checkout line in the non-food section. I was there after 9pm to pick up a few last minute items for a children’s activity at church. I was behind a young couple, with a small baby sitting in the infant portion of the buggy. They caught my attention. I was struck at how much the young man with his wife reminded me of my own grown children. A nice appearance, the young man had on athletic type shorts, a t-shirt and flip flops, the young lady had on jeans and a hoodie, the baby was clean and dressed in a little onesie. As I stood there, I noticed a little more. They were wearing very simple wedding bands, and the dad kept putting his hand on the back of his wife and child’s mother, saying “are you feeling ok?” “Do you want to go sit in the car?” She did look in my opinion pale like she did not feel really great. I heard her reply very nicely to him, “no I am fine” and smiled back at her husband. Well naturally I started playing with the baby, making silly old lady sounds and faces to get the baby to smile and laugh. The baby’s dad (obviously a little girl by the pink onesie) occasionally touched the little baby and bent down to kiss her neck of which she just giggled and smiled. At one point he looked back at me and I said to him, “that little girl certainly loves her daddy’s kisses”. He smiled and said yes. The couple then gave their attention to counting the items in their buggy and began a sorting process counting out 10 jars of baby food, separating them in rows in the buggy. Then it struck me that all they had in their buggy was jars of baby food and several canisters of baby formula. The mom and dad appeared to be in low conversation like they were worried and checking twice everything they had. I continued to play (at a respectful distance) with the baby. To read the rest of Denise’s story, click here. It’s a bit long, but here’s the upshot of it: The young husband is about to go away to serve in the military, and he and his wife were trying to stockpile plenty of food for the baby, as the Mom’s transportation options are limited. When they got to the register, they couldn’t afford what they had selected (nothing but baby food), so Denise paid for them. But there are many stories like this in our community, and while she’s got a really big heart, Denise can’t help them all out of her own pocket. So help out Harvest Hope. This entry was posted in Community, Food, Midlands on June 25, 2012 by Brad Warthen. No, this isn’t a follow-up on this previous post. This is completely different from that Mom issue. This is a glimpse of what the world would look like if it really were run by men. One of the cool things about my job is that I get to hang around people who follow their passions. Even if that passion is the absolutely crazy idea that ordinary men should be able to barbecue an entire cow on a seriously reinforced metal rack. 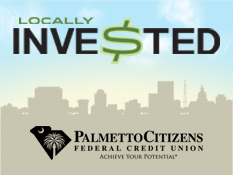 I know that this sounds like something that can’t be done, but it can and has been done right here in Greenville. My friends are going to do this again. You are invited. It’s called Bovinova 2.0 and while seeing may be believing, smelling, tasting, and experiencing it is even better. Check out the website. Buy a ticket. Plan to join us this weekend for a visually stunning event. Stuff like… dropping major produce (watermelons, pumpkins) off a tall building to see them go splat. Or placing explosives in them where they stand and blowing them up. That sort of thing. Or almost any sort of weaponry. The sort of thing that makes you think Tim the Toolman is nearby, grunting, and somehow responsible for the idea. Something like… the headline on this post, which I stole from the release itself. This entry was posted in Food on May 14, 2012 by Brad Warthen.